Drumroll please ... Mamma presents to you today ... the location of your next family photoshoot! Pack the kids in the car, load up the snacks, add in an extra buddy to take a photo and head DOWNHILL to the lake - Sherbrooke's magic spot! 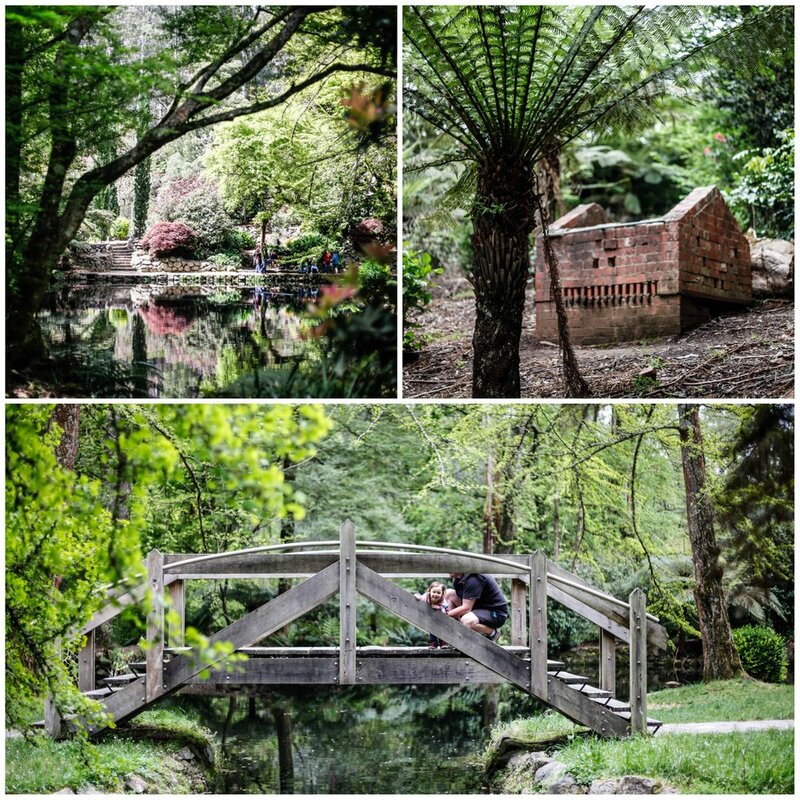 Soft lighting, gorgeous gardens, picturesque vantage points - you will be hard pressed to find a more beautiful spot in the East. The Alfred Nicholas Memorial Gardens was once a part of the Aspro developer's estate also where he resided in his home - the massive Art Deco building that is Burnham Beeches. The private property that acted as a children's hospital during WW2 is currently showing Empire by Rone - and is a little eerie, but also part of the Burnham Bakery and Piggery Cafe property. 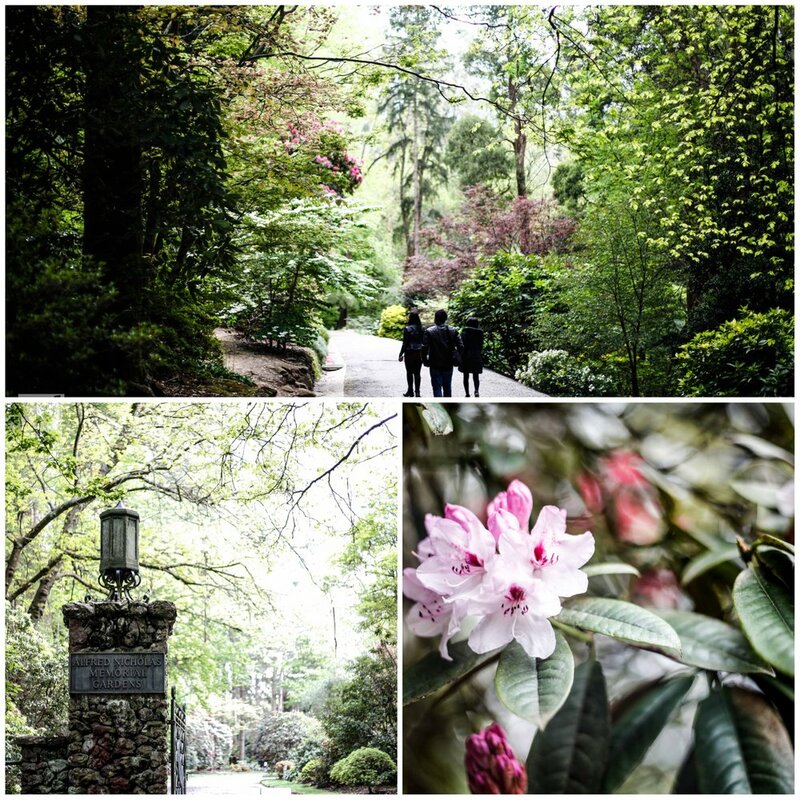 The gardens, in magnificent Dandenong Ranges tradition, are pretty steep. There is the direct path using the staircases up and down or the more gentle, sweeping paths. Regardless of which track you take the gardens are stunning. There is a very good reason this spot and its boathouse appears on the tourism billboards! Mamma's special mention: Hills. The property is full of hills - and Mamma thought the Dandenong Ranges Botanic Gardens were bad. This one however doesn't have the paved tracks - can be rough on the pram.